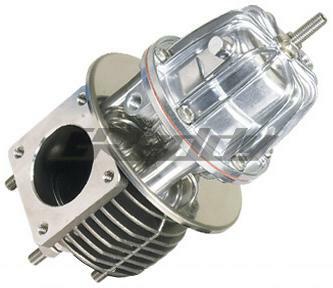 GReddy Wastegate - Type-C UNIVERSAL - Lightning Motorsports - Selling Speed since 1996 ! One of the most important components in a well designed turbocharged engine set-up, is a properly sized wastegate. Too small of a wastegate can cause boost creep while too large of a wastegate will increase boost lag and decrease performance. Our GReddy external wastegates are made from the highest quality materials to insure both stability and durability in a turbocharger’s boost control. Each unit is adjustable as well as rebuildable. Available in 4 sizes and various spring rates. From 0.8kg/cm2 (11psi) to 1.5kg/cm2 (21psi) and up.